These words are from investment banking firm Credit Suisse. While many may question nutritional advice from a group of economists, few could dispute their ability to identify accurate trends in data. 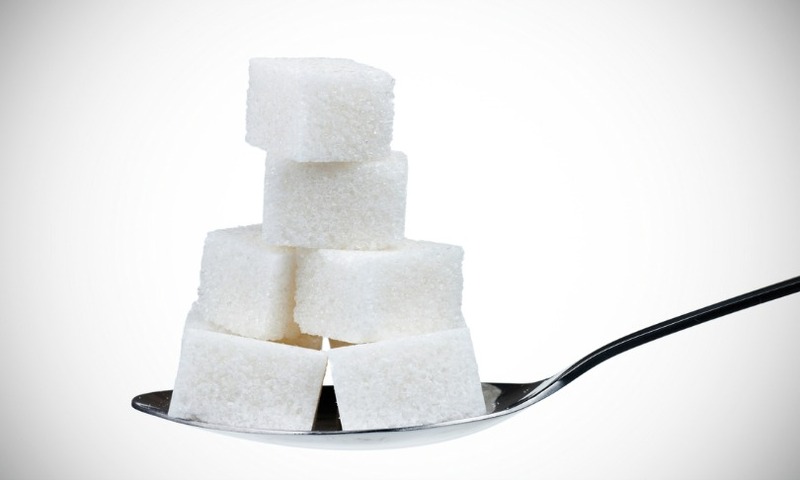 In a report on global sugar consumption, Credit Suisse has identified growing negative views towards sugar which it says provides “green shoots for dietary changes and social health advancement“. The report is a warning to the food and beverage industry and specifically to companies with an economic model that is dependent on products manufactured with added sugar. The Credit Suisse warning suggests these companies should prepare for government-imposed changes to the way they operate their businesses including regulations on sugar-sweetened foods, taxation or greater opportunities for consumers to self-regulate sugar consumption by providing ‘healthier‘ alternatives including products manufactured with non-sugar sweeteners. Ultimately, the investment bankers believe taxation would be the best approach and will provide the best outcome. If all this tax and regulation sounds familiar, well, it is. Calls for the government to intervene to regulate excess sugar consumption have been compared to the anti-smoking movement. Just like Big Tobacco, Big Sugar could be the next big public health campaign. Some have suggested that the sugar industry is approaching its Tobacco Moment – when regulators need to step in to protect society before any more harm is done. The Credit Suisse report argues that regulators should adopt strategies from the battle against smoking to fight the looming war with sugar. The template would include restricting advertising space to hurt marketing appeal, increase tax on foods containing added sugar, and including health warnings on labels. Diabetes and obesity – associated with excess sugar consumption – would provide imagery that is just as confronting as the smoking-related conditions that now decorate cigarette packaging. The suggestion is that these measures would be used concurrently with public education programs that highlight the dangers of excess sugar consumption (see the rethinksugarydrink campaign as an example). The silver lining for the sugar industry, according to Credit Suisse, is the potential to develop businesses that produce non-sugar sweeteners. In this way the sugar industry – which can shift from Big Sugar to Big Sweetener – may be protected, unlike tobacco which had nowhere to turn. This is where we need to remind ourselves that Credit Suisse is an expert in investment, not public health. I would dispute the sense of encouraging a switch from sugar to sweetener for three reasons. Firstly, a comprehensive understanding of the direct metabolic effects of consumption of these alternative sweeteners is not known. Secondly, we don’t know the indirect metabolic or behavioural effects of consumption of these alternative sweeteners. And most importantly, by justifying the production and consumption of low/non caloric sweeteners as healthy alternatives, the food and beverage industry further encourages the consumption of manufactured foods over fresh natural foods. But the sugar industry has one other advantage over tobacco: does anybody care about passive sugar consumption? The movement against tobacco smoking was helped by growing public concern over passive smoking and the idea that someone else’s smoking habit could impact the health of the non-smoker sitting near them. This is not likely to occur with sugar consumption because if someone else is consuming excess sugar then that is unlikely to have any impact on my health. The effective regulation of sugar consumption needs to focus on the individual. This is where plain packaging, health warnings on labels and public education campaigns are likely to have great impact. But could we go further? Could we treat foods and drinks high in added sugars like we do alcohol? After all, national dietary guidelines suggest we “limit” both sugary foods and alcohol in our diets. Both are implicated in fatty liver and cardiovascular diseases. Just as we have bottle shops for alcohol, imagine dedicated party shops or segregated areas in supermarkets where sugar-laden foods such as confectionary, sweetened beverages, bottled sauces and breakfast cereals would be sold. The goal would be to drive home awareness of the prevalence of added sugar in foods and its negative impact on our health. In a number of places the Credit Suisse report notes that scientific evidence against sugar’s role in driving metabolic disease is inconclusive. It appears that the surge of negative public opinion towards sugar is one of the driving forces behind changing trends in sugar consumption and what that might mean for investment in the food and beverage industry. This is a powerful message which seems to be saying that society is not prepared to wait for slow-moving governments, regulators (and, dare I say, academia) to provide conclusive evidence of sugar’s detrimental effects. There is a community desire to force profiteering food and beverage companies into changing for the good of public health. Empowering individuals with knowledge about the impact of food choices on their own health is of primary importance if we are to improve community health. For best health Australians need to be encouraged at every occasion to choose fresh, whole natural foods over the packaged, manufactured option. What makes this particularly difficult is that our ‘choice‘ is influenced strongly by marketing and branding that has society either convinced that these packaged foods are good for us or at the very least are a convenient necessity despite having very little if any nutritious benefit. We need to get something straight then. 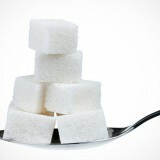 There is no metabolic, physiological or nutritional need for added sugar in foods. As such, an avoidance of manufactured foods and drinks with added sugar can be and should be achieved for optimal health. This awareness is at the crux of the negative opinion towards sugar identified by Credit Suisse. Allowing consumers to make choices free from brand influence would be a vital first step. * Kieron Rooney is a senior lecturer in the University of Sydney’s Faculty of Health Sciences. He has been a named chief investigator on research grants that have received funding from: the National Health and Medical Research Council; Meat & Livestock Australia; NSW Sporting Injuries Committee and PepsiCo Australia & New Zealand. He has not received any personal financial or in kind payments from any of these companies or others that may be related to the article.